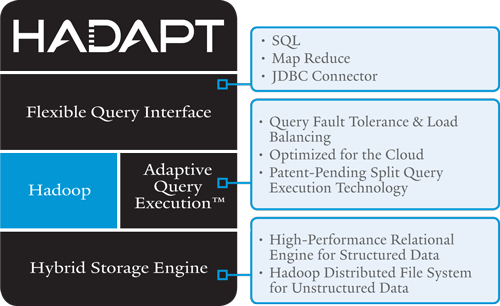 Hadapt has closed a Series A funding round of $9.5 million for its Hadoop-based software that handles structured and unstructured data in a single system. Norwest Venture Partners and Bessemer Venture Partners led the round, which comes about seven months after Hadapt’s launch in March 2011. Hadapt, Cambridge, Mass., is in a good position if it can deliver on its promise of letting organizations process and query all their data in the same environment. As I explained recently, some large companies actually demand such a capability at some point. One eBay (s ebay) executive recently noted that he’s looking for a single system that would let him do away with his current three-tier Teradata-and-Hadoop data environment. Other vendors, including EMC (s emc), Oracle(s orcl), IBM (s ibm) and Teradata (s tdc) are trying to enable the same thing, but they generally do so through connectors that let data flow between the separate systems. “We think we’re the only ones that have built that architecture from the ground up,” Hadapt Founder and CEO Justin Borgman told me. Hadapt is bringing in some experienced big data personnel to help it capitalize on its unique value proposition. They include new board member Sharmila Shahani-Mulligan, formerly of HP (s hpq) and Aster Data (now part of Teradata), and advisor David Kellogg, former CEO of NoSQL success story MarkLogic. Philip Wickline, former VP of engineering at Endeca (which Oracle bought earlier this week), joined Hadapt as CTO in July. Borgman seems particularly excited about the addition of Shahani-Mulligan. He said that Aster Data and Vertica (now part of HP) were the two companies he most wants to emulate, and he gives Shahani-Mulligan credit for Aster Data’s successful positioning of its SQL-MapReduce engine. Hadapt’s product, the Hadapt Adaptive Analytical Platform, is in private beta, and Borgman said he expects a public beta later this year. The new funding will help that process along by giving Hadapt more resources to pour into product development. 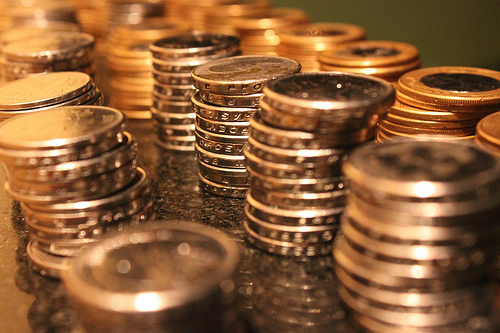 Feature image courtesy of Flickr user Rodrigo_Amorim. RT @Hadapt: Nice articles from @ScottKirsner (http://t.co/vK6cxR5i) and @derrickharris (http://t.co/NzzvWLDA) about our $9.5 million raise.